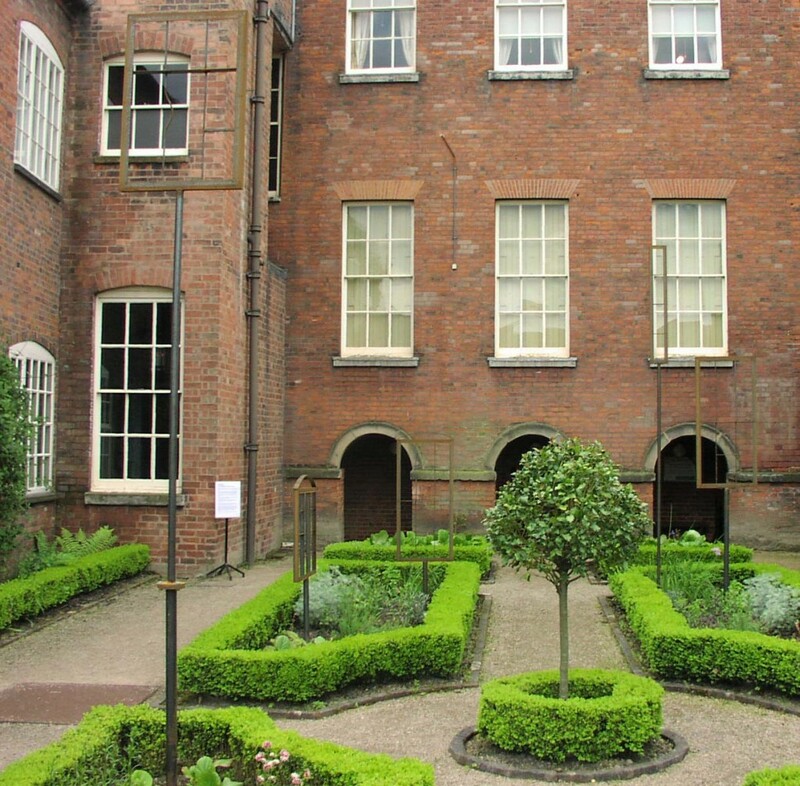 ‘Outlook’ was a sculptural installation for the garden of Pickford’s House Museum, which has many fine windows, architecturally and historically defining the building. It is an example of the artist’s ongoing exploration of the boundaries between sculpture, architectural features and functional objects. 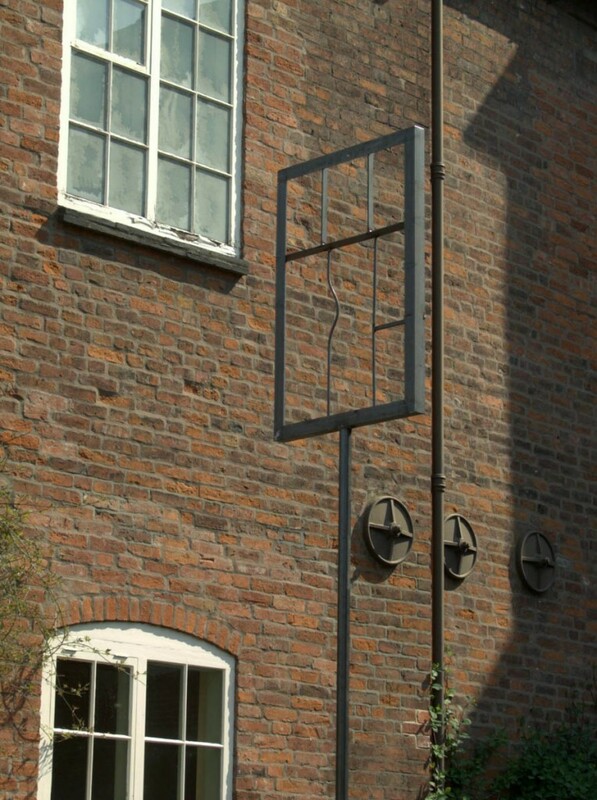 A series of freestanding steel ‘windows’ were mounted on poles in the box-hedged borders. They mimicked the scale and hierarchy of the house’s windows, which change in relation to who would have been looking through them at the time the house was built. Despite having the smallest window, the maid in her attic bedroom would be able to see much further across the city than her employers from their larger hall or drawing room windows. It is a playful comment on neo-classical architecture and on how life must have been in the past for at least some (women, servants) – quite restrictive, class ridden and inward looking.